Ridgeback House caters to a wide range of clients, from corporate guests through to get-away seekers and nature enthusiasts. It is the perfect place to relax, unwind in or next to a sparkling pool, or take a short walk to a nearby first-class wine tasting centre where an assortment our own award winning Ridgeback wines are available for your review and enjoyment. 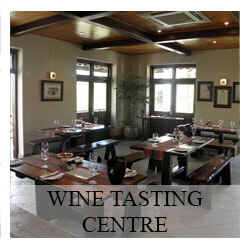 Located on a 62 hectare farm, 10km outside of both Paarl and Wellington set amongst our cherished vineyards, and home to our nationally and internationally celebrated Ridgeback wines, Ridgeback House offers a truly luxurious experience that includes stylish accommodation, fine dining, top-notch service and some of the best wines South Africa has to offer. Why the ‘Ridgeback’ association? The Rhodesian Ridgeback originates from Southern Africa, and legends and tales of their exploits and courage in the African bushveld are plentiful. Their tenacity and strength are representative of the pioneering spirit of Africa. 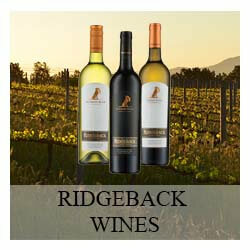 The farm’s main brand name, along with that of our guest house, is derived from the Ridgebacks that are kept on the farm, in addition to the fact that the directors of the wine farm have Zimbabwean (Rhodesian) ties. All our rooms are individually decorated, feature immaculate en-suite bathrooms, and are spacious, unique and stylishly designed in neutral colours. 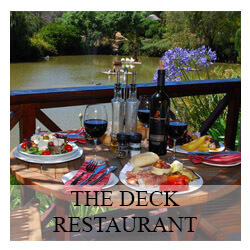 They boast magnificent views of the koppies, vineyards and rose gardens which command admiring attention. 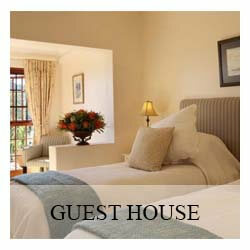 Each room exhibits its own character, with four of them opening onto balconies overlooking the vineyards. The fifth room is slightly smaller and offers a view of our beautiful rose gardens. All our rooms are equipped with a small sitting area, satellite TV, a private safe, air-conditioning and/or a ceiling fan, tea/coffee facilities and a mini bar. We extend a very warm welcome to you and look forward to being of service to you. We are confident that your stay here will be invigorating and satisfying. We hope to see you soon!